The WP-580T is a high-performance, HDBaseT twisted pair wall plate transmitter for HDMI signals. 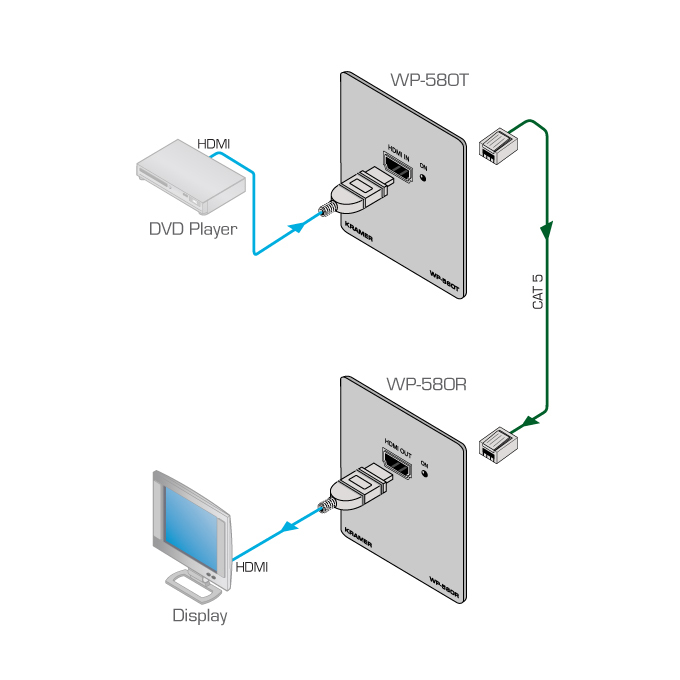 The WP-580T inputs HDMI signals and converts them into an HDBaseT twisted pair signal that it transmits to a WP-580R receiver. HDMI Support - Deep Color, x.v.Color�, Lip Sync, HDMI Uncompressed Audio Channels, Dolby TrueHD, DTS-HD, CEC. Outputs 1 HDBaseT twisted pair RJ-45 connector. Bandwidth 10.2Gbps (3.4Gbps per graphic channel).